Can you stop being at battle with your body? Both Jill and I have struggled with body dysmorphia, and the idea that a good or bad day was defined by what we ate or how much we worked out. With the holidays already here and New Year just around the corner, we can all feel at war with our body. Can you take the time over the holiday season to make sure you are not at battle with yourself? Enjoy the festivities without the guilt and without the silent promises of eating perfectly come January 1st. Simply be in your body, be in the moment, and be in love with the body that you are in right now. 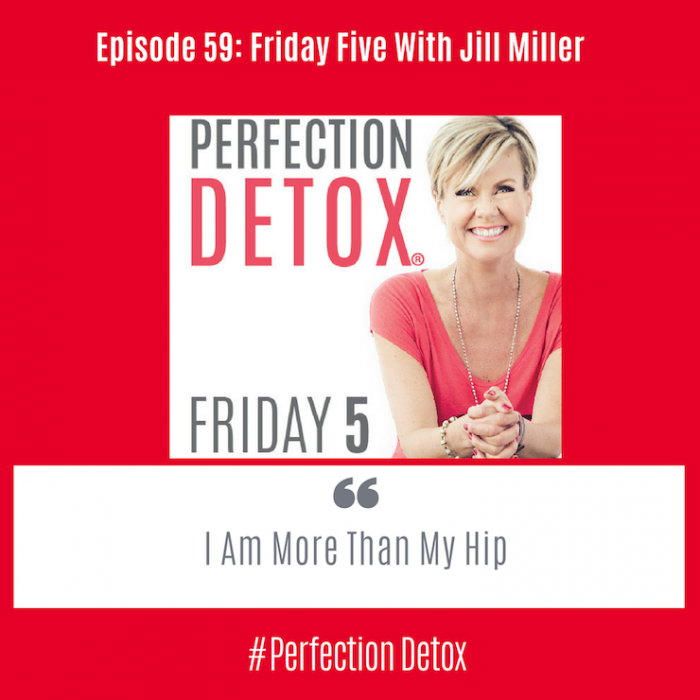 Jill encourages us all to listen and honor our bodies, to get quiet and really hear what our body is yearning for. How is your physical moment, your exercise, your wellness routine? Are your workouts something that you look forward to, that your body feels good doing, and where you feel great afterwards. Take the weekend and the holidays to move, breathe and gift your body with exercises and fitness plans, that nurture both your body and your spirit. Overuse, Underuse, Misuse or Confuse. Jill talks about her methodology, which is a process based movement format that can work with any type of body. She shares the blind spots that we often have in our own body: Overuse, Underuse, Misuse or Confuse. Are you overusing parts of your body? Do you have certain areas that have become underused due to sitting too much? Perhaps you have a chronic annoyance, a tweak or a pain that keeps coming and going. Maybe this is the time to really work with your body and not try to bypass any injuries. The next time you are exercising, investigate if your body feels balanced and aligned both during and after your workout. Who are your cheerleaders? Jill talked about the support she received form her students and also the Fitness Managers at Equinox who believed so deeply in her work. She shared the importance of having cheerleaders in our corner who will help us keep going when things get tough and who will believe in us even when we doubt ourselves. Take a moment to think who your cheerleaders are. Now take a moment to think about someone who may need you to cheer them on. Can you step in and step up, and hold them up until they believe in themselves as much as you do. Be delighted in the unexpected. Jill talked about working with another great thought leader Kelly Starrett. While they came from two completely different worlds in terms of movement, they ended up working together to create additional educational and motivational ways for people to feel at ease in their bodies. We often stay working with the people who are doing the same things that we are doing. Is there someone who inspires you, who is not in your normal circle of influence? Could your reach out to them and see if they would be open to brainstorming with you? If that feels too outside your comfort zone, can you find a new book or TED talk that is outside of your normal go to topics? Allow yourself to be surprised and delighted by the unexpected and unfamiliar.